UPDATE: Mistrial In Menendez Bribery Trial - Joe.My.God. The judge and lawyers in Sen. Bob Menendez’s bribery trial are interviewing jurors as the jury says it remained deadlocked. 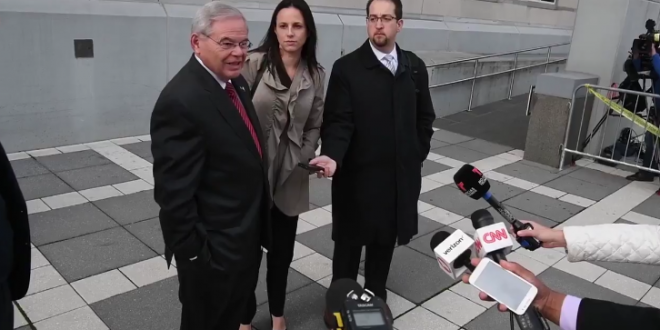 Menendez’s defense lawyer on Thursday asked Judge William Walls to declare a mistrial. An attorney for co-defendant Salomon Melgen asked Walls to poll the jury individually to confirm they are deadlocked. JUST IN: Federal judge declares mistrial in corruption trial of Sen. Bob Menendez after the jury indicated it was deadlocked on all counts.